A couple weeks ago Hikari from Folded Pages Distillery and I had the opportunity to interview Cassandra Clare in her tour bus before her book signing here in Salt Lake City. 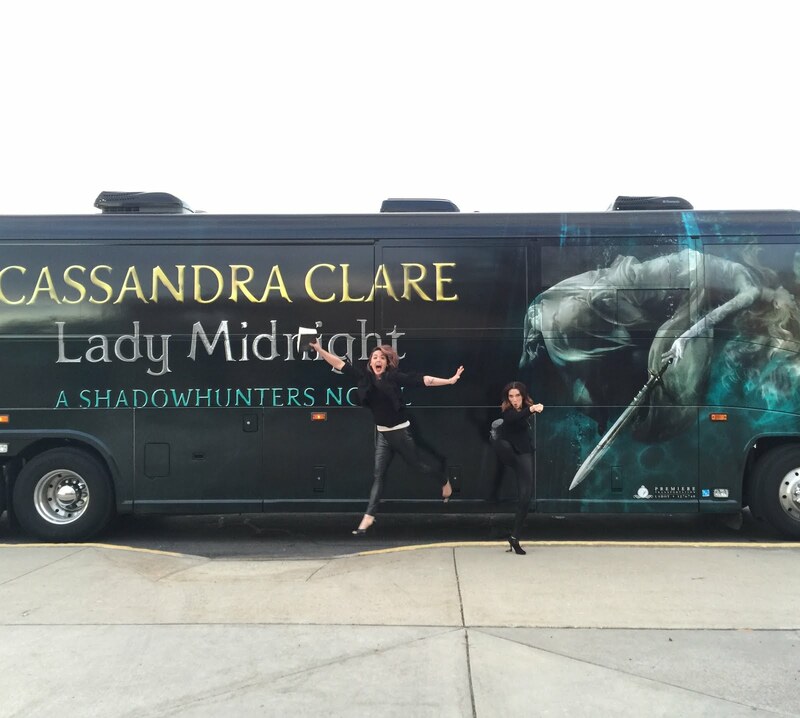 So we donned our Shadowhunter gear and sat down to talk Lady Midnight, The Dark Artifices Series, and to find out what Cassandra's guilty pleasures are. During the event, Cassandra and Holly sat down to answer questions about Lady Midnight, writing, and their books. 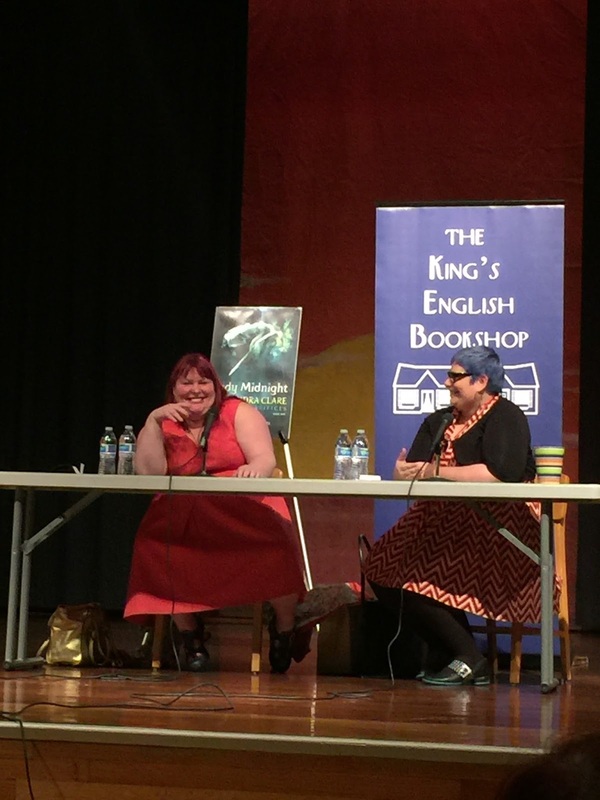 Cassandra Clare was so kind to keep answering questions, even though the time was up. She really made this event about her fans. Who would you bring to life: Professor X "I feel he will better the world"
Who was the hardest character to write? The character who is the villain in Lady Midnight was the hardest because it was hard to conceal their character in that way. If you could get stuck in any book, which would it be? Pinkalicious! It seems like a good book where nothing disastrous happens. The Last Hours series will be about Will and Tessa's children, James and Lucy. It will be a retelling of Great Expectations and readers will get to catch up with the characters from The Infernal Devices. Cassandra (and Holly) were so kind to us. I appreciated the time she took with us and with all her fans, answering our questions and signing so many books! Just another reason I adore Cassandra Clare! It was a wonderful night and a great event.